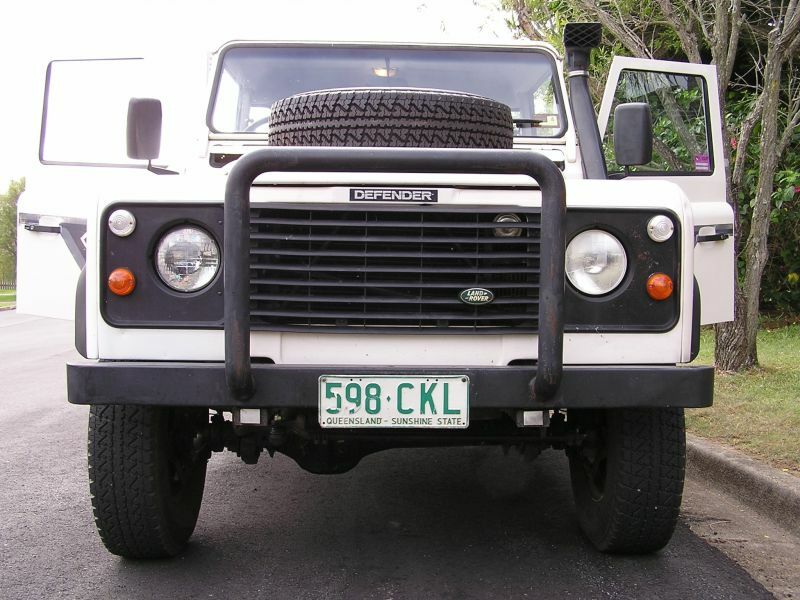 been my dream to own a Land Rover for as long as I can remember. 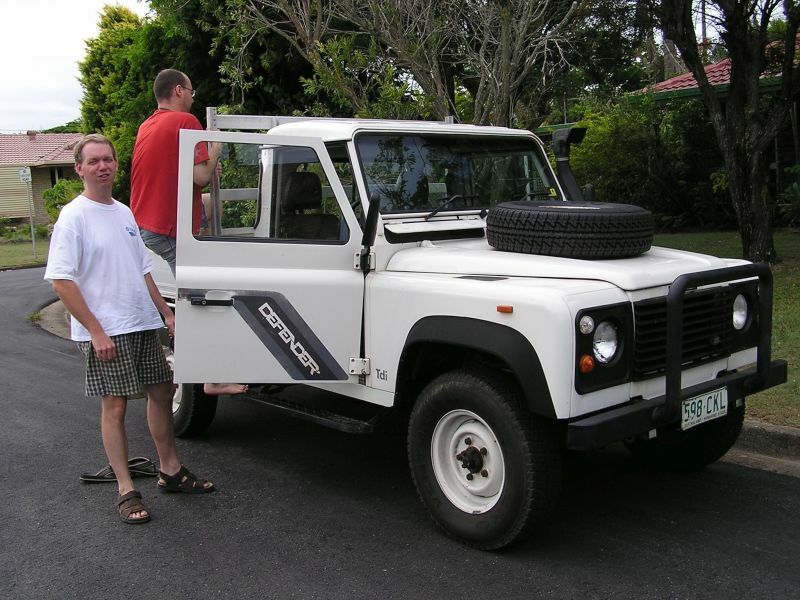 came across an internet ad for a Defender Ute, $15,000. Sounded good but it was in Bundaberg. Never mind it’s only 3 1/2 hours or so away – so I jumped on the tilt-train at the last minute and headed to Bundy. Falcon!) and I LOVED it ! The missus had a drive and I expected her not to like it, but I was wrong. So before she had a chance to change her mind, I agreed to buy it. 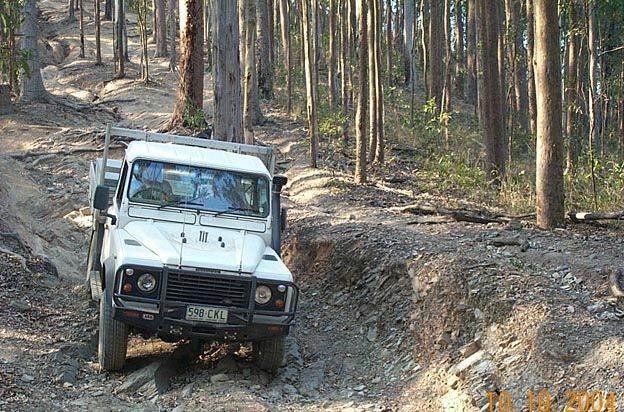 An RACQ report, another trip back to Bundy, and a lighter wallet later…. it was MINE ! Oh Happy Day…. Drove it home from Bundy and couldn’t stop smiling ! What is it exactly? 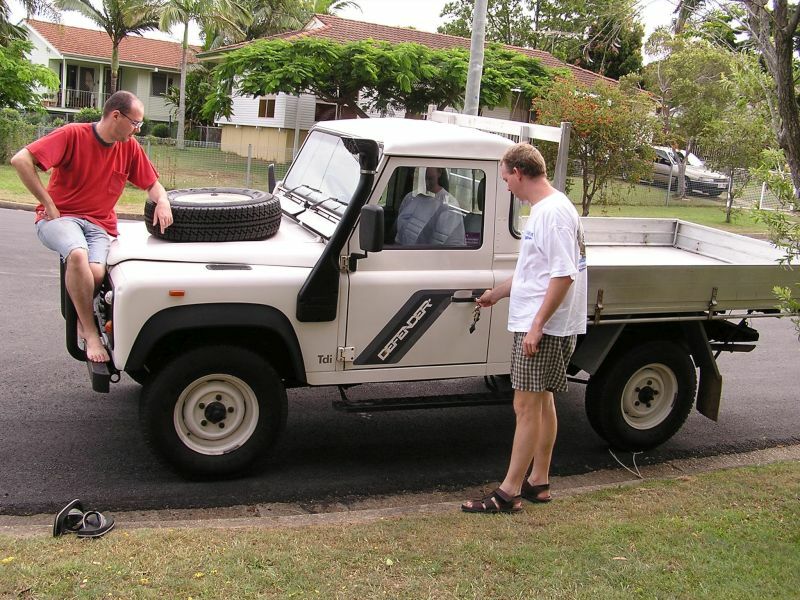 A 1993 Land Rover Defender 110 (200 Tdi) – Trayback Ute. – New 6.5 or 7 inch rims with BFG AT or MT Tyres. myself…. So I stopped it and had it towed to MR Automotive. The mechanic said “Hmm, sounds like big end damage..expensive). I was still sh**ing myself. Anyway, it turned out that one of the rocker arms had broken (yeah, I know!) But how it made that noise… ?!. and hopefully I won’t have any more problems with it…… touch wood. P.S. 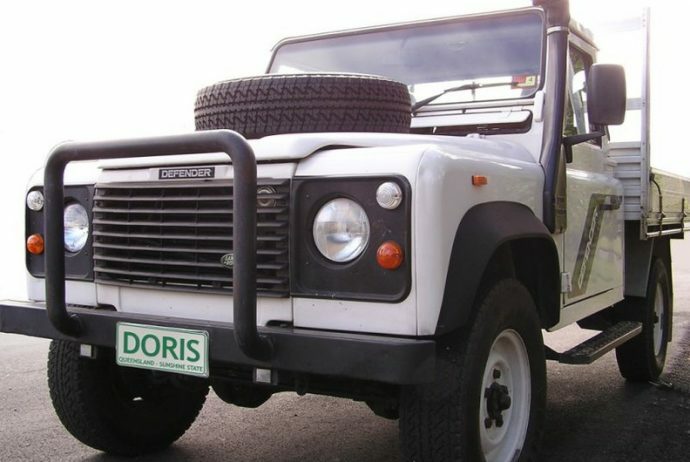 After I bought it a mate retouched a photo with the number plate “DORIS” which I stupidly posted on www.aulro.com This was NOT my Landy’s name. It’s just my idiot mate’s dinosaur joke. He has a Toyota…….. Corolla. 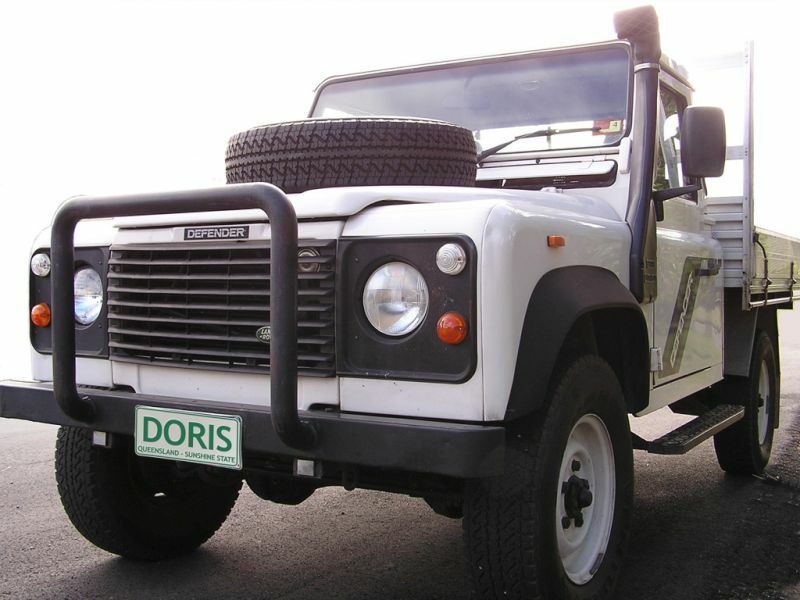 Anyhow the aulro blokes wouldn’t let it go, so she’s known as DORIS for all eternity now ! That’s the idiot mate, there in the red shirt in that earlier photo…..
Photobucket can kiss my arse !